Lightning bolts happen in a flash. You see a streak of light piercing through the sky, and then it's gone. It's one of the most awe-inspiring natural spectacles in the world. But how does it look like in slow motion? A group of researchers from the Florida Institute of Technology has the answer. 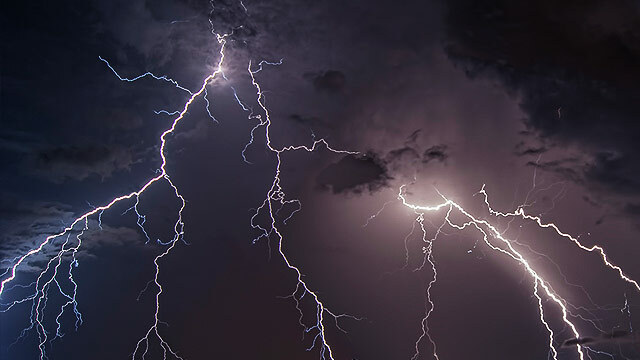 Using an experimental camera that's capable of recording 7,000 frames per second (fps), they are able to trace the path of a lightning bolt from its birth in the clouds to its violent descent onto the earth, and the explosive flash it comes with. Like roots branching out in the soil, the slow-mo lightning bolts show us dazzling patterns that we haven't seen unfold like this before. To illustrate how powerful the camera is, advanced smartphones can record slow-mo clips at around 120 fps while top-of-the-line consumer cameras are known to reach capture speeds of up to 1,000 fps. The camera used by the Florida institute is truly cutting-edge, and is being developed for use in scientific research. We wonder though how normal human activities like running or jumping will look like using such a device.